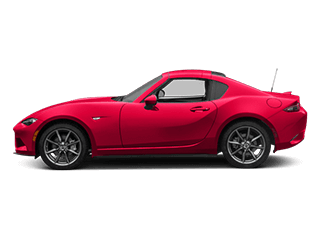 Looking to drive home in a Mazda car today without going over your budget? 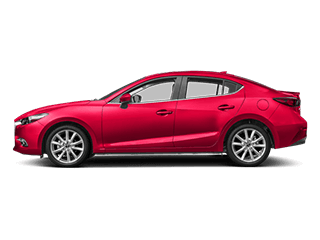 Cox Mazda has a great selection of budget-minded vehicles in our featured pre-owned specials inventory. Visit us today in Bradenton to learn more, talk through financing, or test drive one of our models for yourself. 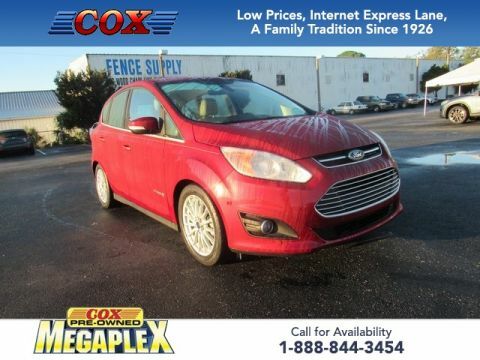 This 2013 Ford C-Max Hybrid SEL in Ruby Red Metallic Tinted Clearcoat is well equipped with: 2.0L I4 Atkinson-Cycle Hybrid, 17" Machined Aluminum Wheels, Equipment Group 303A, Front dual zone A/C, Hands-Free Technology Package, Heated door mirrors, Heated front seats, Leather-Trimmed Heated Front Bucket Seats, Parking Technology Package, Power driver seat, Power Liftgate, Power windows, Premium Audio & Navigation Package, Radio: HD w/Navigation/Sony Branded Sound System, Rain sensing wipers, Rear Parking Sensors, Rear-View Camera, Remote keyless entry, Steering wheel mounted audio controls. Odometer is 40742 miles below market average! 42/37 City/Highway MPG Included First Year Complimentary Basic Maintenance / Multi-Point Vehicle Inspection / Free Vehicle History Reports / In Business Over 90 years / Call (888) 843-2304 For Details. 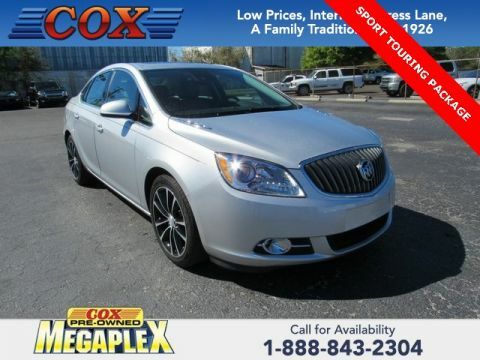 This 2016 Buick Verano Sport Touring Group in Graphite Gray Metallic is well equipped with: SPORT TOURING PACKAGE, 1 OWNER, LOW LOW MILES, 6 Speaker Audio System Feature, Alloy wheels, Audio System Feature, Electronic Stability Control, Front fog lights, Power driver seat, Radio: AM/FM/SiriusXM Stereo w/MP3 CD Player, SiriusXM Satellite Radio, Steering wheel mounted audio controls. Priced below KBB Fair Purchase Price! Odometer is 8392 miles below market average! 21/32 City/Highway MPG Awards: * 2016 KBB.com 5-Year Cost to Own Awards * 2016 KBB.com Brand Image Awards Reviews: * Comfortable and composed ride; quiet interior; strong and efficient turbocharged engine on Verano Turbo; competitive price. Source: Edmunds Included First Year Complimentary Basic Maintenance / Multi-Point Vehicle Inspection / Free Vehicle History Reports / In Business Over 90 years / Call 1-888-844-3454 For Details. Certified. 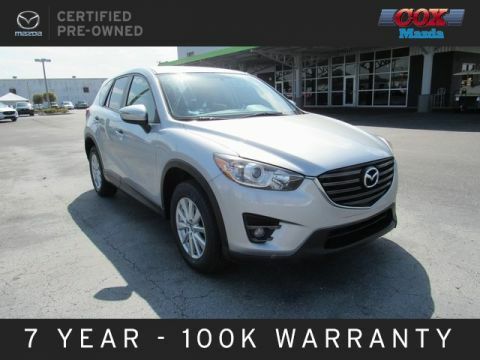 This 2016 Mazda CX-5 Touring in Sonic Silver Metallic is well equipped with: SKYACTIV® 2.5L 4-Cylinder DOHC 16V, 17 x 7J Aluminum Alloy Wheels, Blind spot sensor: warning, CD player, Exterior Parking Camera Rear, Power door mirrors, Power driver seat, Power windows, Radio: AM/FM/CD/HD Modular Audio System, Remote keyless entry, Steering wheel mounted audio controls. Priced below KBB Fair Purchase Price! 26/33 City/Highway MPG Mazda Certified Pre-Owned Details: * Vehicle History * 160 Point Inspection * Roadside Assistance * Warranty Deductible: $0 * Transferable Warranty * Powertrain Limited Warranty: 84 Month/100,000 Mile (whichever comes first) from original in-service date * Limited Warranty: 12 Month/12,000 Mile (whichever comes first) after new car warranty expires or from certified purchase date * Includes Autocheck Vehicle History Report with 3 Year Buyback Protection Included First Year Complimentary Basic Maintenance / Multi-Point Vehicle Inspection / Free Vehicle History Reports / In Business Over 90 years / Call (888) 843-2304 For Details. Certified. 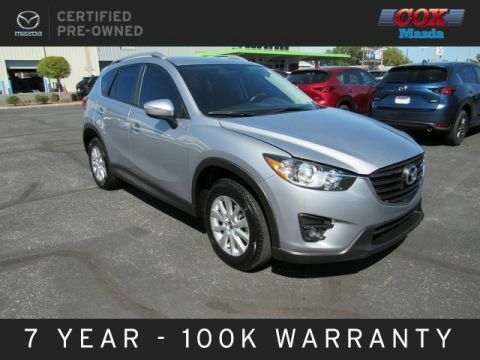 This 2016.5 Mazda CX-5 Touring in Sonic Silver Metallic is well equipped with: 17 x 7J Aluminum Alloy Wheels, Blind spot sensor: warning, Exterior Parking Camera Rear, Front fog lights, Mazda Navigation System, Power driver seat, Power windows, Radio: AM/FM/CD/HD Modular Audio System, Remote keyless entry, Steering wheel mounted audio controls. Priced below KBB Fair Purchase Price! 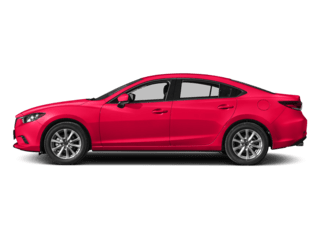 26/33 City/Highway MPG Mazda Certified Pre-Owned Details: * 160 Point Inspection * Powertrain Limited Warranty: 84 Month/100,000 Mile (whichever comes first) from original in-service date * Warranty Deductible: $0 * Limited Warranty: 12 Month/12,000 Mile (whichever comes first) after new car warranty expires or from certified purchase date * Vehicle History * Roadside Assistance * Includes Autocheck Vehicle History Report with 3 Year Buyback Protection * Transferable Warranty Included First Year Complimentary Basic Maintenance / Multi-Point Vehicle Inspection / Free Vehicle History Reports / In Business Over 90 years / Call (888) 843-2304 For Details. 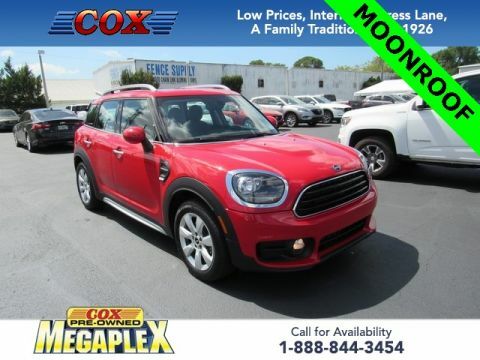 This 2019 MINI Cooper Countryman in Chili Red is well equipped with: ABS brakes, Alloy wheels, Electronic Stability Control, Heated door mirrors, Illuminated entry, Low tire pressure warning, Power 2nd-Row Moonroof, Power moonroof, Remote keyless entry, Traction control. Priced below KBB Fair Purchase Price! Included First Year Complimentary Basic Maintenance / Multi-Point Vehicle Inspection / Free Vehicle History Reports / In Business Over 90 years / Call (888) 843-2304 For Details. New Price! 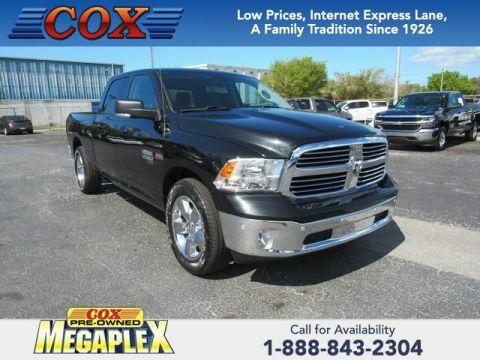 This 2019 Ram 1500 Classic Big Horn in Black Clearcoat is well equipped with: ABS brakes, Alloy wheels, Big Horn Regional Package, Compass, Electronic Stability Control, Heated door mirrors, Illuminated entry, Low tire pressure warning, Radio data system, Remote keyless entry, Traction control. Priced below KBB Fair Purchase Price! Odometer is 2185 miles below market average! Included First Year Complimentary Basic Maintenance / Multi-Point Vehicle Inspection / Free Vehicle History Reports / In Business Over 90 years / Call 1-888-844-3454 For Details. Certified. 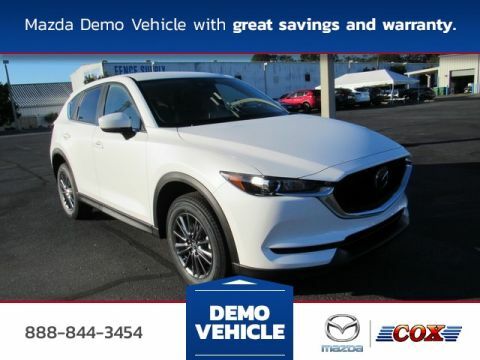 This 2019 Mazda CX-5 Touring in Snowflake White Pearl Mica is well equipped with: Alloy wheels, Auto High-beam Headlights, Automatic temperature control, Blind spot sensor: Blind Spot Monitoring warning, Distance pacing cruise control: Mazda Radar Cruise Control (MRCC), Front dual zone A/C, Heated front seats, Infotainment System Voice Command, Leatherette Seat Trim, Power door mirrors, Power driver seat, Power windows, Radio: AM/FM/HD Audio System, Rain sensing wipers, Remote keyless entry, Steering wheel mounted audio controls. 25/31 City/Highway MPG Mazda Certified Pre-Owned Details: * Roadside Assistance * Includes Autocheck Vehicle History Report with 3 Year Buyback Protection * 160 Point Inspection * Powertrain Limited Warranty: 84 Month/100,000 Mile (whichever comes first) from original in-service date * Transferable Warranty * Vehicle History * Warranty Deductible: $0 * Limited Warranty: 12 Month/12,000 Mile (whichever comes first) after new car warranty expires or from certified purchase date Included First Year Complimentary Basic Maintenance / Multi-Point Vehicle Inspection / Free Vehicle History Reports / In Business Over 90 years / Call (888) 843-2304 For Details. Certified. 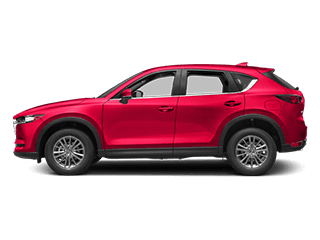 This 2019 Mazda CX-5 Touring in Soul Red Crystal Metallic is well equipped with: SKYACTIV® 2.5L 4-Cylinder DOHC 16V, Automatic temperature control, Blind spot sensor: Blind Spot Monitoring warning, Distance pacing cruise control: Mazda Radar Cruise Control (MRCC), Exterior Parking Camera Rear, Front dual zone A/C, Heated front seats, Leatherette Seat Trim, Power door mirrors, Power driver seat, Power windows, Radio: AM/FM/HD Audio System, Rain sensing wipers, Remote keyless entry, Steering wheel mounted audio controls, Wheels: 17" x 7J Gray Metallic Alloy. 25/31 City/Highway MPG Mazda Certified Pre-Owned Details: * Vehicle History * 160 Point Inspection * Roadside Assistance * Powertrain Limited Warranty: 84 Month/100,000 Mile (whichever comes first) from original in-service date * Transferable Warranty * Limited Warranty: 12 Month/12,000 Mile (whichever comes first) after new car warranty expires or from certified purchase date * Warranty Deductible: $0 * Includes Autocheck Vehicle History Report with 3 Year Buyback Protection Included First Year Complimentary Basic Maintenance / Multi-Point Vehicle Inspection / Free Vehicle History Reports / In Business Over 90 years / Call (888) 843-2304 For Details. Certified. 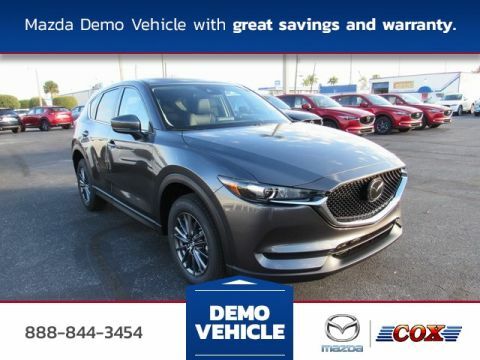 This 2019 Mazda CX-5 Touring in Machine Gray Metallic is well equipped with: Alloy wheels, Auto Dimming Rearview Mirror w/HomeLink, Auto High-beam Headlights, Automatic temperature control, Blind spot sensor: Blind Spot Monitoring warning, Bose 10-Speaker Audio Sound System, Distance pacing cruise control: Mazda Radar Cruise Control (MRCC), Exterior Parking Camera Rear, Front dual zone A/C, Heated front seats, Leatherette Seat Trim, Power driver seat, Power Rear Liftgate, Power Sliding-Glass Moonroof w/Interior Sunshade, Power windows, Radio: AM/FM/HD Audio System, Rain sensing wipers, Remote keyless entry, Steering wheel mounted audio controls, Touring Preferred Equipment Package. Odometer is 609 miles below market average! 25/31 City/Highway MPG Mazda Certified Pre-Owned Details: * Warranty Deductible: $0 * Limited Warranty: 12 Month/12,000 Mile (whichever comes first) after new car warranty expires or from certified purchase date * Powertrain Limited Warranty: 84 Month/100,000 Mile (whichever comes first) from original in-service date * 160 Point Inspection * Includes Autocheck Vehicle History Report with 3 Year Buyback Protection * Vehicle History * Transferable Warranty * Roadside Assistance Included First Year Complimentary Basic Maintenance / Multi-Point Vehicle Inspection / Free Vehicle History Reports / In Business Over 90 years / Call (888) 843-2304 For Details. Certified. 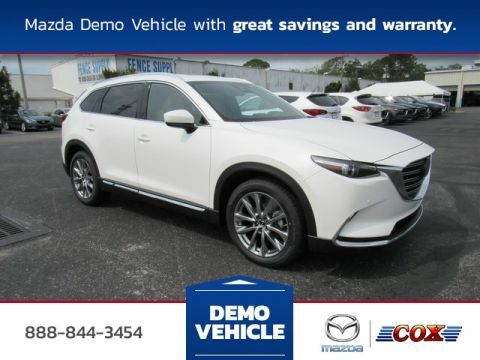 This 2018 Mazda CX-9 Grand Touring in Snowflake White Pearl Mica is well equipped with: 3rd row seats: split-bench, Auto High-beam Headlights, Automatic temperature control, Blind spot sensor: Blind Spot Monitoring warning, Distance-Pacing Cruise Control, Exterior Parking Camera Rear, Front dual zone A/C, Heads-Up Display, Heated Front Bucket Seats, Heated rear seats, Infotainment System Voice Command, Leather-Trimmed Seats, Mazda Navigation System, Memory seat, Power driver seat, Power Liftgate, Power moonroof, Power passenger seat, Power windows, Radio: AM/FM Sound System w/Bose Audio, Rain sensing wipers, Rear air conditioning, Remote keyless entry, SiriusXM Satellite Radio, Steering wheel mounted audio controls, Wheels: 20" x 8.5J Aluminum Alloy. Odometer is 800 miles below market average! 22/28 City/Highway MPG Mazda Certified Pre-Owned Details: * Warranty Deductible: $0 * Roadside Assistance * Transferable Warranty * Includes Autocheck Vehicle History Report with 3 Year Buyback Protection * 160 Point Inspection * Limited Warranty: 12 Month/12,000 Mile (whichever comes first) after new car warranty expires or from certified purchase date * Powertrain Limited Warranty: 84 Month/100,000 Mile (whichever comes first) from original in-service date * Vehicle History Included First Year Complimentary Basic Maintenance / Multi-Point Vehicle Inspection / Free Vehicle History Reports / In Business Over 90 years / Call (888) 843-2304 For Details. Certified. 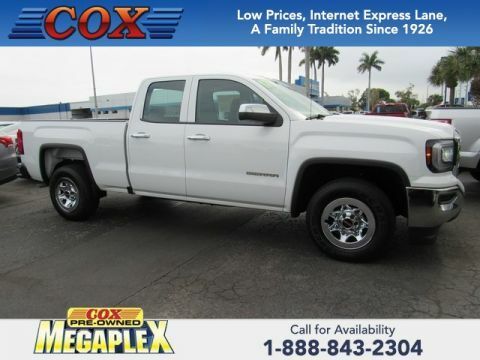 This 2017 GMC Sierra 1500 in Summit White is well equipped with: 6-Speaker Audio System, Electronic Stability Control, High-Intensity Discharge Headlights, Radio: AM/FM Stereo w/4.2" Diagonal Color Display. Priced below KBB Fair Purchase Price! Odometer is 7925 miles below market average! Awards: * 2017 KBB.com Brand Image Awards Reviews: * Strong combination of fuel economy and power; comfortable, quiet cabin; compliant ride quality makes it suitable for daily use; many available configurations and trims Source: Edmunds GMC Certified Pre-Owned Details: * 172 Point Inspection * Transferable Warranty * Warranty Deductible: $0 * Limited Warranty: 12 Month/12,000 Mile (whichever comes first) from certified purchase date * Roadside Assistance * Vehicle History * 24 months/24,000 miles (whichever comes first) CPO Scheduled Maintenance Plan and 3 days/150 miles (whichever comes first) Vehicle Exchange Program * Powertrain Limited Warranty: 72 Month/100,000 Mile (whichever comes first) from original in-service date Included First Year Complimentary Basic Maintenance / Multi-Point Vehicle Inspection / Free Vehicle History Reports / In Business Over 90 years / Call 1-888-844-3454 For Details. 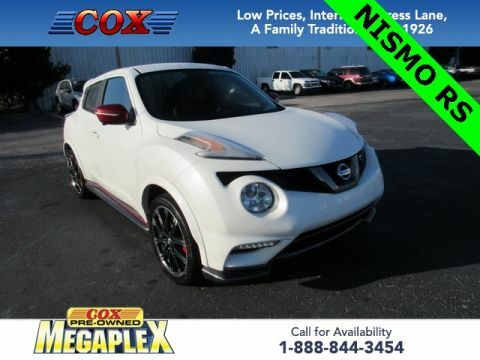 This 2015 Nissan Juke NISMO RS in White Pearl is well equipped with: AWD, AroundView Monitor (AVM), Automatic temperature control, CD player, Power door mirrors, Power windows, Radio: NissanConnect w/Navigation & Mobile Apps, Recaro Front Bucket Seats, Remote keyless entry, Steering wheel mounted audio controls, Wheels: 18" NISMO. 25/29 City/Highway MPG Included First Year Complimentary Basic Maintenance / Multi-Point Vehicle Inspection / Free Vehicle History Reports / In Business Over 90 years / Call (888) 843-2304 For Details. 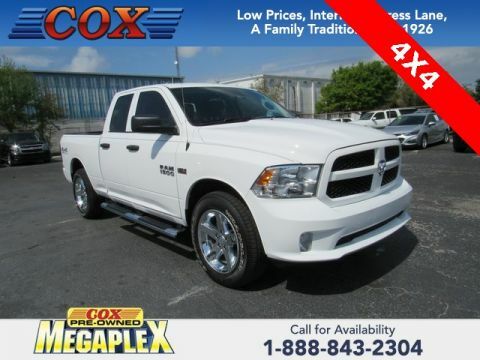 This 2018 Ram 1500 Express in Bright White Clearcoat is well equipped with: 4X4, 1 OWNER, ONLY 1,600 MILES, ABS brakes, Audio Jack Input for Mobile Devices, Electronic Stability Control, Heated door mirrors, Low tire pressure warning, Radio: 3.0, Traction control. Priced below KBB Fair Purchase Price! Odometer is 9186 miles below market average! Included First Year Complimentary Basic Maintenance / Multi-Point Vehicle Inspection / Free Vehicle History Reports / In Business Over 90 years / Call 1-888-844-3454 For Details. Certified. 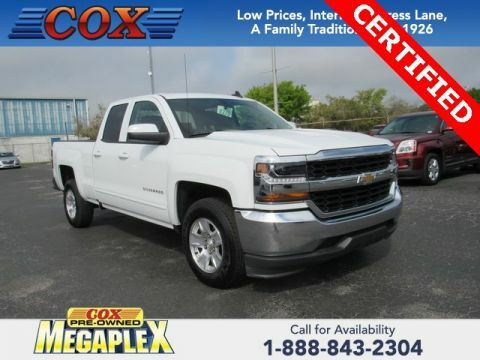 This 2019 Chevrolet Silverado 1500 LD LT in Summit White is well equipped with: 4.2" Diagonal Color Display Driver Info Center, Body Color Bodyside Moldings, Body-Color Door Handles, Body-Color Mirror Caps, Body-Color Power-Adjustable Heated Outside Mirrors, Chevrolet 4G LTE, Chevrolet Connected Access, Chrome Front Bumper, Chrome Grille Surround, Chrome Rear Bumper, Color-Keyed Carpeting Floor Covering, Deep-Tinted Glass, Driver & Fr Passenger Illuminated Vanity Mirrors, HD Radio, Leather Wrapped Steering Wheel, Manual Tilt-Wheel Steering Column, OnStar & Chevrolet Connected Services Capable, Preferred Equipment Group 1LT, Rear 60/40 Folding Bench Seat (Folds Up), Rear Wheelhouse Liners, Remote Keyless Entry, Remote Locking Tailgate, Single Slot CD/MP3 Player, SiriusXM Radio, Steering Wheel Audio Controls. Priced below KBB Fair Purchase Price! Odometer is 1434 miles below market average! Chevrolet Certified Pre-Owned Details: * Limited Warranty: 12 Month/12,000 Mile (whichever comes first) from certified purchase date * Warranty Deductible: $0 * Transferable Warranty * Vehicle History * 24 months/24,000 miles (whichever comes first) CPO Scheduled Maintenance Plan and 3 days/150 miles (whichever comes first) Vehicle Exchange Program * 172 Point Inspection * Powertrain Limited Warranty: 72 Month/100,000 Mile (whichever comes first) from original in-service date * Roadside Assistance Included First Year Complimentary Basic Maintenance / Multi-Point Vehicle Inspection / Free Vehicle History Reports / In Business Over 90 years / Call 1-888-844-3454 For Details. Certified. 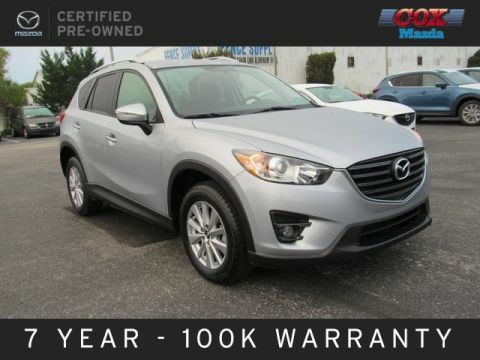 This 2016.5 Mazda CX-5 Touring in Sonic Silver Metallic is well equipped with: SKYACTIV® 2.5L 4-Cylinder DOHC 16V, 17 x 7J Aluminum Alloy Wheels, Blind spot sensor: warning, CD player, Exterior Parking Camera Rear, Mazda Navigation System, Power driver seat, Power windows, Radio: AM/FM/CD/HD Modular Audio System, Remote keyless entry, Roof Rack Side Rails, Steering wheel mounted audio controls, Telescoping steering wheel. Priced below KBB Fair Purchase Price! Odometer is 1505 miles below market average! 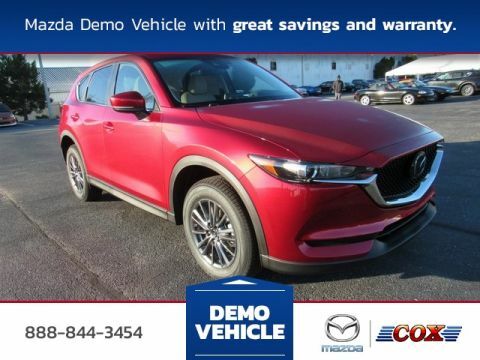 26/33 City/Highway MPG Mazda Certified Pre-Owned Details: * Vehicle History * Powertrain Limited Warranty: 84 Month/100,000 Mile (whichever comes first) from original in-service date * 160 Point Inspection * Limited Warranty: 12 Month/12,000 Mile (whichever comes first) after new car warranty expires or from certified purchase date * Warranty Deductible: $0 * Transferable Warranty * Roadside Assistance * Includes Autocheck Vehicle History Report with 3 Year Buyback Protection Included First Year Complimentary Basic Maintenance / Multi-Point Vehicle Inspection / Free Vehicle History Reports / In Business Over 90 years / Call (888) 843-2304 For Details. 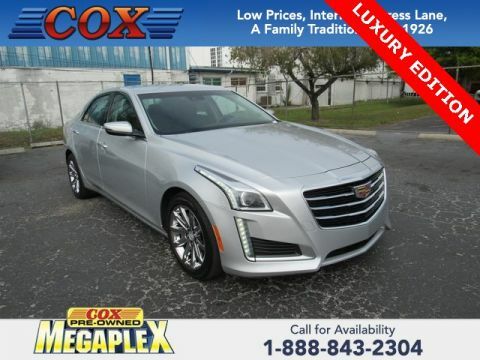 This 2015 Cadillac CTS 2.0L Turbo Luxury in Radiant Silver Metallic is well equipped with: LUXURY EDITION, LEATHER SEATS, NAVIGATION, 1 OWNER, Bose Centerpoint Surround Sound 13-Speaker System, Driver Awareness Package, Forward Collision Alert, Heated Driver & Front Passenger Seats, Heated Steering Wheel Rim, Heated/Ventilated Driver & Front Passenger Seats, IntelliBeam Headlamps, Lane Change Alert, Lane Keep Assist, LED Accent Lighting, Outside Heated Power-Adjustable Mirrors, Power Tilt & Telescoping Steering Column, Radio: Cadillac CUE Info/Media Cont/Embedded Nav, Rainsense Wipers, Rear Cross Traffic Alert, Rear Vision Camera, Seating Package, Side Blind Zone Alert, SiriusXM & HD Radio, Split-Folding Rear Seat. Priced below KBB Fair Purchase Price! 20/30 City/Highway MPG Awards: * Car and Driver 10 Best Cars Car and Driver, January 2017. Reviews: * The 2015 Cadillac CTS boasts the polished appeal of the iconic American luxury brand along with high style, impressive performance and high-tech features. The formula is already working to entice a new generation of buyers to the brand. Source: KBB.com * The CTS Sedan comes with a long, low and lean profile while a strong confident grille completes the look that is unmistakably Cadillac. The sleek integrated rear spoiler is purposefully designed to manage critical airflow at the rear of the vehicle for greater down force and a firmly planted feel at higher speeds. Crystalline LED light guides are integrated into the upper and lower front corners to provide smooth illumination. Pair the potent 272HP 2.0L Turbo or the available 321HP 3.6L V6 engine with performance-tuned RWD or available AWD with active-torque technology. For true power opt for the available Twin Turbo 3.6L V6 with 420HP and 430 lb.-ft. of torque paired with an 8-speed transmission rockting to 60mph in 4.4seconds. Eight unique interior coloring options are available to choose from. Cold-weather comfort is at hand with the available heated steering wheel as well as available heated and ventilated front seats. Cadillac went to great lengths to quiet the cabin, including using Bose Active Noise Cancellation. With the ability to use multitouch gestures like tap, swipe, and pinch, the available CUE is as easy to use as a smartphone or tablet. Find a song, make a call, input destinations through the available navigation system, and more through voice recognition. A safety cage constructed of high-strength and ultra-high strength steel surrounds you while 10 airbags protect you on impact. Available adaptive cruise control uses sensors to regulate speed. 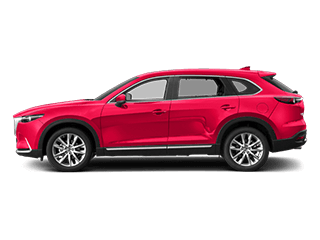 Included with all Collections, the Driver Awareness Package features Forward Collision Alert, Side Blind Zone Alert, Rear Cross Traffic Alert, Lane Departure Warning System, Safety Alert Seat, Rear Vision Camera, Rainsense automatic wipers, and IntelliBeam headlamps. 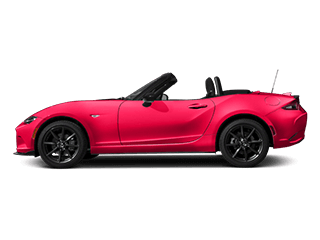 Source: The Manufacturer Summary * Excellent handling across the line; strong acceleration in turbocharged Vsport form; sophisticated styling; attractive cabin with high-quality materials; top crash-test scores. Source: Edmunds Included First Year Complimentary Basic Maintenance / Multi-Point Vehicle Inspection / Free Vehicle History Reports / In Business Over 90 years / Call 1-888-844-3454 For Details. 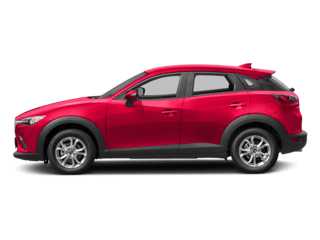 At Cox Mazda, we strive to offer you competitive pricing and selection so that you can drive home in the vehicle you truly want. Compared to standard used vehicles, these offer drivers a vehicle that is heavily inspected and made to run and look like brand new. With a lower overall cost and a guarantee of quality, certified pre-owned vehicles are a great choice for anyone in the market. 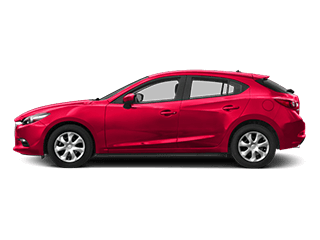 After you explore our CPO Mazda options online, be sure to visit us in Sarasota to test drive your favorite options.